Developers involved in sea reclamation work in Johor will have to pay a RM0.30 (S$0.12) tax for every square foot as part of a special aid programme for fisherman whose livelihood are affected by the work. The state is expected to collect RM104 million from a total acreage of 3,237ha of reclamation activities in and around the Iskandar special economic region. A massive reclamation project in Johor recently came under scrutiny both within the state and in neighbouring Singapore after the Republic and non-governmental organizations raised concerns over the environmental impact of the project. The Forest City project, a housing development in the Straits of Johor near Singapore’s Second Link, involves creating a 1,817ha island almost three times the size of Ang Mo Kio and includes a 49ha tourist hub as well as luxury homes. Looks like our Malaysian counterpart has taken a leaf out of our Government’s playbook, i.e. hit them where it hurts most aka their pockets. And if the state’s coffers derive a gain out of whole the exercise, all the better! But the wife made a rather interesting comment after reading the above article: Singapore needs to reclaim land because we have a shortage of land. How come Johor need to do the same, when they already have plenty of land especially in and around the Iskandar region..?? 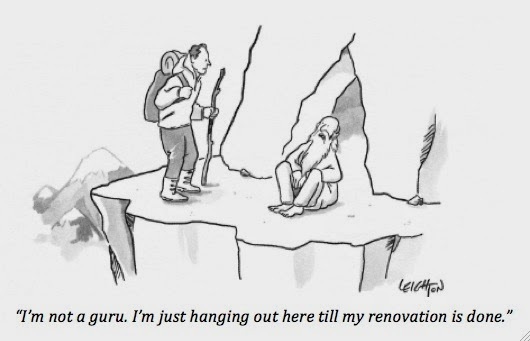 Gripes about errant renovation contractors have risen in recent years, despite efforts to boost professionalism in the trade. The number of complaints against home renovation contractors climbed to 1,779 last years, figures form CASE showed. This is a 16% increase from the year before and a 35.5% jump from 2010. Industry observers linked the rising trend to poorly-qualified interior designers and contractors who rush work, leading to subpar quality. They noted that there are few barriers of entry for interior designers and sub-contractors to enter the industry. Another issue are the limitations faced by sub-contractors. Labour shortages have made it hard for them to hire skilled workers, so many contractors just “grab” whoever they can get, even if they are substandard. Industry players say there is no official licensing requirement for home renovation contractors or sub-contractors. But members of the Singapore Renovation Contractors and Material Suppliers Association (RCMA) have to abide by the Singapore Renovation and Decoration Code of Practice. CASE also has 21 renovation contractors accredited under its CaseTrust scheme. Mr James Ho, 43, an electrician said whether one lands a good sub-contractor depends on luck as they are many who are not experienced enough. To curb unreasonable requests from customers, Mr Tan said he is in discussions with CASE to work out an arrangement such that when a complaint is received, the RCMA, together with the contractor and the client, will visit the home to assess who is at fault and make recommendations. He hopes to implement it by this year. The wife and I tend to agree with Mr James Ho that one really need a bit of luck when comes to finding the “right” contractor. The experiences we have had with most of the renovation contractors that we had engaged previously were not too bad, but also not good enough for us to make recommendations. The only exception is the one that we had engaged for our current home, which we are finally confident enough to refer to our friends and have done so. What set this company apart is that they are very responsible and responsive, both during and post renovation. Even when we needed them to rectify certain problems years after the initial renovation was completed, their service was just as prompt and efficient. So if anyone needs a good (by our experience, that is) reno designer/contractor, give us a shout. Rest assured that we have no “arrangement” with this particular contractor thus are not getting any benefits out of the referral. 2 comments to ''Articles in today's TODAY: Our thoughts"
Can send me yr id contact to ChangKongWanLi@outlook.com?